Before:- V. Ramasubramanian and N. Kirubakaran, JJ. W.P. (Md) No. 3731 of 2011. D/d. 20.4.2016. For the Petitioner :- Party-in-person. For the Respondent No. 1 and 2 :- M. Subash Babu, Advocate. For the Respondent No. 3 :- Mahaboob Athiff, Advocate. For the Respondent No. 4 :- G. Prabu Rajadurai, Advocate. Aparna Basu Mallick v. Bar Council of India, AIR 1983 Cal 461. Archana Girish Sabnis v. Bar Council of India, 2015(1) R.C.R. (Civil) 373 : 2015(1) Recent Apex Judgments (R.A.J.) 82. Baldev Raj Sharma case, 1989 Supp (2) SCC 91. Bar Council of India v. Aparna Basu Mallick, 1994(2) S.C.T. 72 : (1994) 2 SCC 102. K.N. Pushpavalli v. Bar Council of Tamil Nadu. M. Vetriselvan v. High Court of Judicature at Madras, 2015 (1) CTC 129. S. Seshachalam v. Chairman, Bar Council of Tamil Nadu, 2015(1) Recent Apex Judgments (R.A.J.) 231 : 2015 (1) CTC 227 (SC). S.M. Anantha Murugan v. The Chairman, Bar Council of India, 2015 (6) CTC 22. N. Kirubakaran, J. - This case is only a tip of an iceberg, which reveals how full-time salaried employees/staff are working and simultaneously undergoing Law Degree Course elsewhere. The petitioner herein, is a person, who was working as a full-time Government employee, i.e, as a Junior Engineer in Agricultural Engineering Department, Thanjavur, from 17.03.1966 to 31.10.2001 and who was able to obtain a law degree, as if he had undergone the course from 1998-2001, as a regular student in Dr. Ram Manohar Lohia College of Law, Bangalore University, Bangalore. He joined the Department in the year 1966 and superannuated in the year 2001. After retirement, the petitioner applied for enrolment with the Bar Council of Tamil Nadu. He had categorically stated in column No. 11(a) about his employment details. Therefor, the Bar Council of Tamil Nadu, rightly, raised a query as to how, he was able to undergo the Law Course during 1998 to 2001, especially, when he was employed as a Junior Engineer in Thanjavur, by communication dated 17.10.2002. He filed an affidavit stating that he applied for leave and availed loss of pay to attend regular college during 1999 and 2001. However, no details were furnished to prove that he availed leave on loss of pay and attended the course. Therefore, the Bar Council of Tamil Nadu sent a communication dated 17.10.2002 to the petitioner to produce all documents before the Enrolment Committee to show that he attended classes regularly, after availing leave on loss of pay and that such leave was sanctioned to him. However, no details were furnished. Hence, by order dated 13.05.2003, the Enrolment Committee of Bar Council of Tamil Nadu was of the opinion that there was no proof to establish the number of days on which the petitioner had attended classes by applying for leave, with particulars of sanction of leave, the number of days, etc. and that it is a doubtful case regarding the studies at Bangalore and therefore, the Enrolment Committee rejected the application and resolved to refer the same to the Bar Council of India. On reference by the Bar Council of Tamil Nadu, with regard to the rejection of the petitioner's application for enrolment, the Bar Council of India, on 14/15 June, 2003, passed a resolution directing the Bar Council of Tamil Nadu to give an opportunity to the petitioner to produce the authentic records from the University that he attended college for requisite number of days and obtained degree of law,by availing leave on loss of pay and that such leave was sanctioned to him and if such documents are produced and the genuineness of the same is accepted by the Enrolment Committee, then the Enrolment Committee to take appropriate action. The said decision was communicated to the Bar Council of Tamil Nadu vide communication dated 21.06.2003. Subsequently, the Bar Council of Tamil Nadu, wrote to the petitioner on 21.06.2004 to produce the documents, as stated above. However, the petitioner did not produce the details sought by the Bar Council of Tamil Nadu. Thereafter, the petitioner has come up with the present writ petition challenging the Enrolment Rules of the Bar Council of Tamil Nadu, as communicated by Bar Council of Tamil Nadu, vide Roc No. 561/2006 dated 24.07.2006. 2. Heard the petitioner appearing as party in person, Mr. Subash Babu, learned counsel for respondents 1 and 2, Mr. Mahaboob Athiff, learned counsel for R3 and Mr. Prabu Rajadurai, learned counsel for R4. 3. The only contention raised by the petitioner is that the Enrolment Rules framed by the Bar Council of Tamil Nadu were not approved by the Bar Council of India and were not laid before the Parliament or the State Assembly and the Rules were not published either in the Central Government Gazette or in the State Government Gazette. Further, he would submit that the exercise of enrolment of advocates should be taken over by the High Court of Madras as per Section 58(1) of the Advocates' Act, 1961. "28. Power to make rules: (1) A State Bar Council may make rules to carry out the purposes of this Chapter. (e) the instalments in which the enrolment fee may be paid. (3) No rules made under this Chapter shall have effect unless they have been approved by the Bar Council of India." A perusal of the above said section would make it clear that a State Bar Council has got powers to make Rules with regard to enrolment. What is required, when Rules are framed, is only an approval of Bar Council of India. According to the petitioner, the Enrolment Rules, which have been framed by the Bar Council of Tamil Nadu, under Section 28(2)(d) read with Section 24(1) (c) of the Act, are not sustainable, as they were not approved by the Bar Council of India. The Enrolment Rules were already approved by the Bar Council of India and the amendments made to the Enrolment Rules by the Bar Council of Tamil Nadu, as set out, in its letter dated 14.08.1992, were approved by the Bar Council of India. Therefore, it is clear that the Enrolment Rules of Bar Council of Tamil Nadu, framed under Section 28(2)(d) read with Section 24(1)(c) of Advocates' Act, 1961, were approved and even the amendments to the Enrolment Rules were approved by the Bar Council of India resolution dated 31.10.1991 and 01.11.1992. Therefore, it is too late in the day, for the petitioner, to contend that there is no approval by the Bar Council of India. 5. As far as the necessity to lay the Enrolment Rules before the Parliament is concerned, it is without any basis. The Advocates' Act, 1961, was already enacted by the Parliament and each and every Rule need not be laid before the Parliament to be passed. The Rules are only Subordinate Legislation. Moreover, under Section 28(2)(d) of the Advocates' Act, 1961, what is required is only approval by the Bar Council of India and no other requirement is necessary. Therefore, the challenge to the Enrolment Rules miserably fails. "58. Special provisions during the transitional period - (1) Where a State Bar Council has not been constituted under this Act or where a State Bar Council so constituted is unable to perform its functions by reason of any order of a Court or otherwise, the functions of the Bar Council or of any Committee thereof, insofar as they relate to the admission and enrolment of advocates, shall be performed by the High Court in accordance with the provisions of this Act. (2) Until Chapter IV comes into force, a State Bar Council or a High Court performing the functions of a State Bar Council may enrol any person to be an advocate on a State roll, if he is qualified to be so enrolled under this Act, notwithstanding that no rules have been made under Section 28 or that the rules so made have not been approved by the Bar Council of India, and every person, so enrolled shall, until that Chapter comes into force, be entitled to all the rights of practise conferred on an advocate under section 14 of the Indian Bar Councils Act, 1926 (38 of 1926). (3) Notwithstanding anything contained in this Act, every person who immediately before the 1st day of December, 1961, was an advocate on the roll of any High Court under the Indian Bar Councils Act, 1926 (38 of 1926), or who has been enrolled as an advocate under this Act shall, until Chapter IV comes into force, be entitled as of right to practise in the Supreme Court, subject to the rules made by the Supreme Court in this behalf. (4) Notwithstanding the repeal by sub-section (2) of section 50 of the provisions of the Legal Practitioners Act, 1879 (18 of 1879), or of the Bombay Pleaders Act, 1920 (Bombay Act 17 of 1920), (or of any other law relating to the admission and enrolment of legal practitioners, the provisions of the Acts and law aforesaid) and any rules made thereunder insofar as they relate to [the renewal or the issue by way of renewal] of a certificate to a legal practitioner authorising him to practise shall have effect until chapter IV comes into fore and, accordingly, every certificate issued or renewed to a legal practitioner (who is not enrolled as an advocate under this Act) which is or purports to be issued or renewed under the provisions of either of the aforesaid Acts [or of the other law] during the period beginning with the 1st day of December, 1961 and ending with the date on which Chapter IV comes into force, shall be deemed to have been validly issued or renewed." The very provision is a special provision applicable during the transition period and the contexts mentioned in the section have not arisen. Hence, the plea of the petitioner is liable to be rejected. 7. This case is the usual cry of a person, who failed to get enrolled before the Bar Council of Tamil Nadu. First of all, the situation under which he obtained Law Degree is suspicious. In spite of notice dated 17.10.2002 from Bar Council of Tamil Nadu, he did not produce any valid documents to show that he physically attended the classes at Bangalore, especially, when he was employed at Thanjavur, after availing leave on loss of pay and such leave was sanctioned to him. In the absence of production of documents called for by the Enrolment Committee of Bar Council of Tamil Nadu, it is impossible for the petitioner to get enrolled. 8. Moreover, the petitioner holds a Master's Degree in Public Administration, that too, obtained by way of Distance Education. He has not disclosed the details regarding Under Graduate Degree obtained by him. Further, the proceedings dated 31.10.2001, issued by the Assistant Executive Engineer (Public Works),Thanjavur, would show that the petitioner reached the age of superannuation on 31.10.2001 as Junior Engineer. In view of that, in the absence of any material documents to prove that the petitioner attended the classes conducted in Bangalore College, that too, for three years continuously on regular basis, the Bar Council of Tamil Nadu, rightly entertained a suspicion regarding the qualification of the petitioner and called for the details. Having failed to produce those details, in order to convince the Bar Council to get enrolled, the petitioner has chosen to file the writ petition, challenging the very Enrolment Rules of Bar Council of Tamil Nadu, for which he applied to get enrolled. Merely because, he was required to produce certain documents regarding his qualification, he was unsuccessful till date, it will not give a cause of action for the petitioner to challenge the validity of the Rules. Rules have been framed properly and the Bar Council is within its power to frame such Rules under Section 28(2)(d) of the Advocates' Act, 1961. "14. Now under Section 7, one of the functions of the Bar Council of India is to recognise Universities whose degree in law shall be a qualification for enrolment as an advocate and for that purpose to visit and inspect the Universities. This power of recognition of Universities is conferred where the degree of law of that University entitles the degree holder for enrolment as an advocate. Under Section 24(1)(c)(iii) which is relevant for this purpose, a person shall be qualified to be admitted as an advocate on a State roll if he fulfils the conditions of having undergone a three year course of study in law from any University in India which is recognised by the Bar Council of India. Sub-section (3) of Section 24 is an exception clause to Sub-section (1) as it begins with a non-obstante clause which entitles a person to be enrolled as an advocate under special rule made in that behalf. No such rule was relied upon as having been made Under Sub-section (3) of Section 24. Section 49(1)(d) empowers the Bar Council of India to make rules which may prescribe the standards of legal education to be observed by Universities in India and the inspection of Universities for that purpose. If the acquisition of a degree in law is essential for being qualified to be admitted as an advocate on a State roll, it is obvious that the Bar Council of India must have the authority to prescribe the standards of legal education to be observed by Universities in the country. On a conjoint reading of these provisions of the Act with Rule 1(1)(c) in Part IV of the Rules which prescribe the standards of legal education and recognition of degrees in law as well as understand how one can say that the said Rule is inconsistent with any of the provisions of the Act. What Rule 1(1)(c) requires is that the course of study in law must be completed by regular attendance at the requisite number of lectures, tutorials and moot courts in a college recognised by a University. As pointed out earlier, this Court in Baldev Raj Sharma case, 1989 Supp (2) SCC 91 pointed out that there was a substantial difference between a course of studies pursued as a regular student and the course of studies pursued as a private candidate. The policy underlying the relevant provisions of the Rules is to lay emphasis on regular attendance of the law classes. It is, therefore, clear that a candidate desiring enrolment as an advocate must fulfil the conditions set out under the relevant clause of Section 24 read with Rule 1(1)(c) of the Rules. In the present case, since both the candidates admittedly did not pursue any regular course of study at any college recognised by the University by attending the law classes, lectures, tutorials and moot courts, they cannot be said to have complied with the requirements for enrolment as an advocate. In that view of the matter, we think that the view taken by the Calcutta High Court in Aparna Basu Mallick v. Bar Council of India, AIR 1983 Cal 461 is erroneous." "31. We, therefore, after giving our anxious consideration in the matter, are of the definite opinion that the Bar Council of India is not bound to grant a license as claimed by the appellant. Pursuing law and practising law are two different things. Once an pursue law but for the purpose of obtaining license to practise, he or she must fulfil all the requirements and conditions prescribed by the Bar Council of India..."
The petitioner herein, having failed to fulfil the conditions required, has filed the present vexatious petition. 10. The petitioner had already filed W.P. No. 6429 of 2005 and as against the dismissal of the said writ petition on 25.02.2005, a writ appeal was preferred in W.A. No. 1836 of 2005. The said writ appeal was also dismissed by the Division Bench of this Court by judgment dated 05.11.2009. Therefore, the challenge to the vires of the Rules has to fail and the writ petition is liable to be dismissed. 11. From the above, it is evident that the petitioner is also guilty of suppression of material facts and he has not disclosed the full particulars, especially, the earlier writ proceedings filed by him. 12. Obtaining Law Degrees, in absentia, is not new. One M. Sheikh Sardar, who was working as a full-time Headmaster in a Middle School at Nedumanoor, Sankarapuram Panchayat Union, Villupuram, was able to procure the Law Degree, having undergone the course, during the year 1995-1998 at Salem Law College. After retirement from service, the said Sheikh Sardar, applied for enrolment, which was refused by the Tamil Nadu Bar Council, stating that he could not have had requisite attendance in the Law College. The said order was challenged before this Court in W.P. No. 20522 of 2001 and a learned Single Judge of this Court, by order dated 06.11.2001, dismissed the writ petition holding that it would have been practically impossible for the petitioner therein to attend the Evening College, after completion of his school duties. The said order was also confirmed on appeal in W.A. No. 330 of 2006 by judgment dated 23.01.2008. After going into the details elaborately, the Division Bench of this Court held that it is humanely impossible for the appellant therein to go to the College, travelling 100Kms everyday, after attending his school duties and that the Bar Council of India had rightly rejected the application for enrolment on the ground that the appellant therein could not have had requisite attendance in the Law College. The Division Bench also questioned the Central Law College, Salem, for having allowed the appellant therein to sit for the examination. "8. On a perusal of the records, it is seen that the petitioner was working in the Registry of this Court and studied in the Law College, Bangalore and obtained Law Degree in the year 1987 and after her superannuation, enrolled herself in the Bar Council of Tamil Nadu. By the impugned order dated 17.12.2002, the Bar Council of Tamil Nadu, stated that during the course of study of Law at the said Law College, the petitioner was in full time service in the office of the Registrar, High Court of Madras drom 07.03.1963 to 31.03.2002; that the Bar Council feels that the details given by the petitioner regarding the Law Degree Course is not satisfactory and accordingly directed the petitioner to return her original Certificate of Enrolment and original Identity Card. 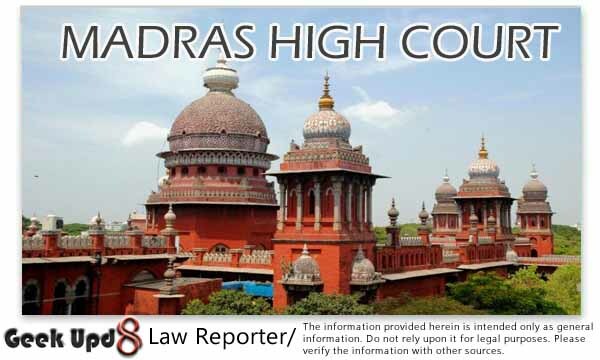 Even though the contention of the petitioner is that the Registry of the High Court, Madras, had ratified the degree studied by the petitioner and also recorded her qualification in the Service Register, this Court is of the view that just because the Registry of the High Court, Madras, permitted the petitioner and ratified her educational qualification with respect to Law Degree, it will not stand in the way of the first respondent - Tamil Nadu Bar Council to pass an order directing the petitioner to return her enrolment certificate and original identity card, because the first respondent is an autonomous body governed by the Regulations under the Advocates Act. 12. Though I am surprised by the action of the Registrar - Administrative side of the Registry of this Court in ratifying her qualification in respect of Law Degree which was obtained without having sufficient attendance and without getting prior permission from the Registry of this Court, I do not want to go into the same further, since the permission has already been ratified and that issue is not before me. Therefore, I hold that the ratification given by the Registrar -Administrative side of the Registry of this Court, to the petitioner for the Law Degree obtained by her, is not binding on the Bar Council of Tamil Nadu and the Bar Council of Tamil Nadu was right in cancelling her enrolment." "In many law schools, there were more "absentees" than "present". Neither the school nor the students took law study seriously. Students could live hundreds of miles away from Colleges and not only get full attendance but degree too. Legal Education, as a matter of fact, became only a profit-making industry." "26. The profession of law is a noble calling. The legal fraternity toils day and night to be successful in the profession. Although it is true that slowly working one's way up is the norm in any profession, including law, but initially young Advocates have to remain in the queue for a prolonged period of time and struggle through greater hardships. Despite being extremely talented, a number of young lawyers hardly get proper opportunity or exposure in their profession. New entrants to the profession in the initial stages of the profession suffer with the meagre stipend which young lawyers may receive during their initial years, coupled with the absence of a legislation concerning this, they struggle to manage their food, lodging, transportation and other needs. Despite their valiant efforts, they are unable to march ahead in their profession. It is only after years of hard work and slogging that some of the fortunate lawyers are able to make a name for themselves and achieve success in the profession. For the majority of the legal fraternity, everyday is a challenge. Despite the difficult times, the lawyer who sets up practise straight after enrolment, struggles to settle down himself in the profession. Some of the lawyer remain struggling throughout their lives yet choose to remain in the profession. It is something like "riding a bicycle uphill with the wind against one". 27. Contrariwise, the retired Employees like the Appellants, who are Law Graduates did not withstand the difficult times in the profession. They opted for some other lucrative job during their prime times of their life and lives a secured life. Others found some job and positioned themselves in a comfortable place of employment, chose to join evening college or attended part time classes and obtained law degree and having retired with comfortable retiral benefits, further securing their future, they enrol themselves as an Advocate to practise. The retired employees have the substantial reitral benefits, gratuity apart from receiving pension. The availability of lump sum retiral benefits with pension makes a retired Employee better placed than their counter part lawyers who struggle through difficult times. 28. The various welfare fund schemes are in actuality intended for the benefit of those who are in the greatest need of them. The lawyers, straight after their enrolment, who join the legal profession with high opes and expectations and dedicate their whole lives tot he professions are the real deserves. Lawyers who enrol themselves after their retirement from Government services and continue to receive Pension and other Terminal benefits, who basically join this field in search of greener pasttures in the evening of their lives cannot and should not be equated with those who have devoted their whole lives to the profession. For these retired persons, some amount of financial stability is ensured in view of the pension and terminal benefits and making them eligible for lump sum welfare fund under the Act would actually amount to double benefits. Therefore, in our considered view, the classification of lawyers into these two categories is a reasonable classification having anexus with the object of the Act. 29. Furthermore, it is also to be noted that in view of their being placed differently than the class of lawyers who chose their profession as the sole means of their livelihood, it can reasonably be discerned that the retired persons form a separate class. As noticed earlier, the object of the Act is to provide for the constitution of a Welfare Fund for the benefit of Advocates on cessation of practise. As per Section 3(2)(d), any grant made by the Government to the welfare fund is one of the source of the Advocates Welfare fund. The retired Employees are already in receipt of pension from the Government or other Employer and to make them get another retrial benefit from the Advocates Welfare Fund would amount to double benefit and they are rightly excluded from the benefit of the lump sum amount of welfare fund." "54. A serving officer cannot, thus, carry on his job and yet have Degree obtained of a Full Time Degree Course. The two would be contradictory and would create a doubt on the Degree itself. That aspect, however, is not under challenge before us and thus, we say no further, but to observe that while considering for any future promotions to the post of Assistant Registrar or thereafter, the B.L/L.L.B Degree holders who may have obtained the same while being full time Employees in the High Court would not be entitled to be categorised as such and at best, can be treated only on equal terms with the B.A.L. Degree holders. The B.L. Degree holders, who are entitled under the relevant Feeder categories subject to seniority are only the ones who obtained the Degree prior to joining in service or when the Evening Course was permitted." This kind of procuring Law Degrees, fraudulently, has to be prevented by Bar Council and action should be taken against those Colleges for selling degrees or conferring degrees to people, who do not attend the classes. It is a matter to be pondered over as to whether it would be possible to get B.E. Degree or M.B.B.S. Degree in this way. Legal profession is blighted by the entry of criminal elements. It is seen from a number of cases coming up before this court and also from media reports that persons with criminal background getting law degrees claiming to be advocates are indulging in criminal activities including conducting "Kangaroo Courts", degrading and damaging the image of noble profession and for which we have to hang our heads down in shame. It is said that many persons claiming as leaders of the Bar are safeguarding and aiding those elements. The sorry state of affairs is not only due to a few members of the Bar, but also, because of entry of criminal elements into the profession by taking advantage of loop holes in 50 year old The Advocates' Act, 1961 and The Bar Council of India Rules regarding admission to law colleges and lack of effective fool proof procedure for enrolling law graduates as advocates. The present pitiable status of the legal profession could be attributed to the miserable failure of the Bar Council of India which is incapable of addressing the menace affecting the system. In fact, the Chairman of BCI stated in a seminar conducted in Chennai, in July 2015 that 30% advocates are fake, bad and non-practising, indulging in illegal acts and more than 20% persons sporting Court dress have no proper degrees. The present petition is aimed at blocking the entry of criminal elements, who do not possess basic qualifications and purchase law degrees which are generously sold for a song by Letter Pad law colleges located in other States especially in neighbouring States except Kerala. Why Criminal and Communal Elements Enter into Legal Profession? 15. If one looks into the basic reason for the criminals getting law degrees, it is only to avoid police action for committing offences. If a criminal gets an avatar of advocate by purchasing law degree, if any action is taken against him, he would play the advocate card and the advocate community would resort to boycott of Courts paralysing the Courts' functioning without even verifying as to whether action has been taken against regular practitioner or a criminal turned lawyer. This act of boycotting by advocates has encouraged the criminals to purchase law degrees to avoid police action. Very easy availability of admission in law colleges and law degrees without insistence of basic qualification, without attendance and age restriction for admission from Letter Pad Colleges for L 50,000/- to 3,00,000/- or similar sums is another important reason, as the Bar Council liberally granted approval to many Letter Pad Colleges, without any man power policy, to do business by selling law degrees. Label of advocate makes the criminal to have acquaintance with police, threaten police and to conduct Katta Panchayat without any problems and avoid police action including filing of complaints against them. In a nutshell, the criminals and communal elements are masking their ugly faces with the label of Advocate to shield their illegal acts and to continue committing offences without fear of police. In fact, the so-called Bar leaders and Communal leaders, Bar Council members want their men to enter into profession to get elected as Bar leaders and as Bar Council members in an attempt to control the very system. Therefore, the reason for entry of criminals, into the legal profession, has to be squarely attributed to the alleged Bar leaders and many Bar Council members and their boycott of Courts. Abolition of Three Year Courses and Retention of 5 Year Course Alone. "Legal education must be given its status of a professional course of study and like any other professional course its standards must be regulated. The content of legal education must be given its due importance. Legal education should be uniform in the country and should be a five-year course after 10+2. The standard of legal education should be laid down and the minimum norms that law schools must satisfy must be prescribed. Notice to all the law schools should be given by the Bar Council of India/university thereafter to ensure that within the time allowed they must satisfy the norms and if they fail to do so, the university concerned should withdraw the recognition or affiliation from such school or college and that would once for all put an end to those law schools which do not deserve to exist. Unless such a drastic surgery is undertaken without loss of time, the patient, that is legal education, will be fatally wounded and consequently the country's justice delivery system will stand bereaved." Therefore the Bar Council is directed to positively consider abolishing the three year Law Degree Course and to retain only five year course at the earliest on par with Medical and Engineering courses. Entrusting Functions of Bar Council to National Knowledge Commission or Legal Education Committee or an Expert Body. 33. Though with a noble object of regulating and administering legal profession, the Advocates' Act, 1961, was enacted and the Bar Council was statutorily constituted, the object is frustrated because of the inaction and malfunction of the Bar Council members. Many of the Bar Council Members are not acting in the interest of legal profession or Courts and they are only interested to see that they are re-elected by making unruly elements as advocates. The elective system has made the functioning of Bar Council a mockery. They are said to be sponsoring law colleges, which sell degrees without even conducting classes and without attendance, on payment of L 25,000/- or L 1,00,000/-. Many law colleges appoint local agents to canvass and to give spot admission in law colleges as seen from many advertisement published by the said agents. It is also evident that many cases, which have been referred to the Bar Council of India, appear to be pending for more than 5 years or 10 years and consequently, those lawyers, who are facing Bar Council action go scot-free. Bar Councils, mindlessly, have been recognising more Bar/Advocate Associations in each Court, for various reasons, mostly based on communities and other considerations dividing the advocates on communal and religious basis. Often, there are many clashes between the associations. Even judicial officers are unnecessarily facing problems due contrary claims made by different Bar Associations like accommodation, recognition, etc. Therefore, the Bar Councils have to withdraw recognition given to various Bar/Advocate Associations which have been granted for the past 20 years and maintaining one association for one Court except Associations which are 20 years old and more for a conducive atmosphere in Courts. "The thrust in legal education primarily rest on formal lectures. The curriculum consist of traditional subjects but the method of teaching of the rudiments in law in the colleges and the practise in the courts are very wide and unrealistic. Thus there is a deep gap between "law in action "and "the law in books." The student in law is neither prepared nor even made to think as an Advocate resultantly when the launches into action, after enrolment, finds himself completely at a loss, affecting all concerned in the administration of justice. Until recently, dispensing with apprenticeship had added further problems to the newly enrolled advocates who do not find proper guidance in the professional conduct as an advocate. It is now generally believed that many an advocate turn out "ambulance chasers" or "catchers in railway platforms of the litigants." In addition, there is plethora of statutory laws being made by the legislatures and the Parliament every year. There is no occasion for the new entrants into the legal profession to keep abreast with the changing needs of the society and the interpretation of laws to suit the changing needs. Thus unbridgeable gap has arisen to educate the law students on the correct perspectives. Thus, there is a wide gap between advocates equipped with the knowledge in law in action in the changing social, economic and political scenario and the law taught to them in the colleges. Stream cannot raise higher than the source. Therefore, what is imperative is of higher standards in the legal education and legal services imbued with efficient, honest and sincere legal practitioner studded with ethical standards. Practical training is almost absent in legal education. Thorough grounding not merely in law and legal literature but also practical side of the world of the business; mastering of some subjects, grounding in preparation of a brief, techniques to interact with the client to elicit relevant facts and case study, etc., are of absolute necessity, for success at the Bar. Because of fallen standards in the legal education and lack of ethics find their manifestation in the poor quality of legal service and the persons manning the judiciary including in many a case, constitutional courts. It is, therefore, necessary to stem the rot from the bottom itself. 18. 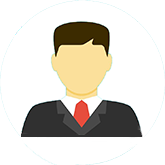 The Legal Profession is a noble profession and the members of the profession are supposed to have a thorough knowledge about law and better expertise in the field. A law graduate, by overnight, cannot be transformed into a full-fledged advocate. Any law graduate, without undergoing apprenticeship/training under a Senior, can only be a half-baked advocate. Legal Profession is a service oriented profession. Therefore, a law graduate needs proper training, at least, for a few years to get exposure to various Acts and Developments in Law. Then only, they would be in a position to advise their clients properly. 19. Many persons are said to have entered into the profession for the past 15 years, having obtained degrees fraudulently viz. procuring Law Degrees, in absentia, in the Institutions, which are hundreds of kilometres away from their work place, while rendering service in their organisation as full-time employees. Therefore, the Bar Council of India is directed to verify the details of candidates, who enrolled, when they crossed 40 years or more, as to whether they were working at the time of getting Law Degree and if it is found so, then their enrolment, based on degrees obtained fraudulently, has to be cancelled. Whenever persons, aged more than 40 years, apply for enrolment, the Bar Council should be careful enough to get the details of such persons, especially, about the manner in which they obtained Law Degree and if the law degree obtained by them, was, in absentia, then they should be refused enrolment. This will, definitely, go a long way, in improving the legal system and in preventing half-baked law graduates from entering into the profession. The Bar Council of India should take note of the above facts and act accordingly. Their applications for enrolment should be rejected and the applications should not be returned, as these candidates would get enrolled from other States. (a) Bar Councils are directed to verify whether the candidates, who apply for enrolment, after crossing 40 year of age, have rightly obtained Law Degree or not. If they had obtained Law Degree, while in service, then they shall not be enrolled. (b) Bar Councils shall verify the Ration Card, Pan Card and Aadhar Card of the candidates to ascertain their address, social status and their income, at the time of enrolment. (c) Bar Councils shall get an affidavit from the candidates, who crossed 40 years of age at the time of enrolment stating that they have not obtained law degree while they were in service. 21. With the above, the writ petition is dismissed. No costs.